In business, sales message timing is critical—you must get your message in front of the right people at the right time. However, the best advertising campaign will fail to the next slick presentation from your competitors. Using promotional products, we’ll help you make that great first impression last—keeping your business top-of-mind. Promotional products have the highest recall over television, print and online advertising. 45% of people use a promotional products at least once a day. 58% will keep a promotional products for one to four years. There are nearly 35,000 promotional products companies in the United States. Generating $15.5 billion in annual revenue and employing more than 500,000 Americans. Highly targets and inexpensive. 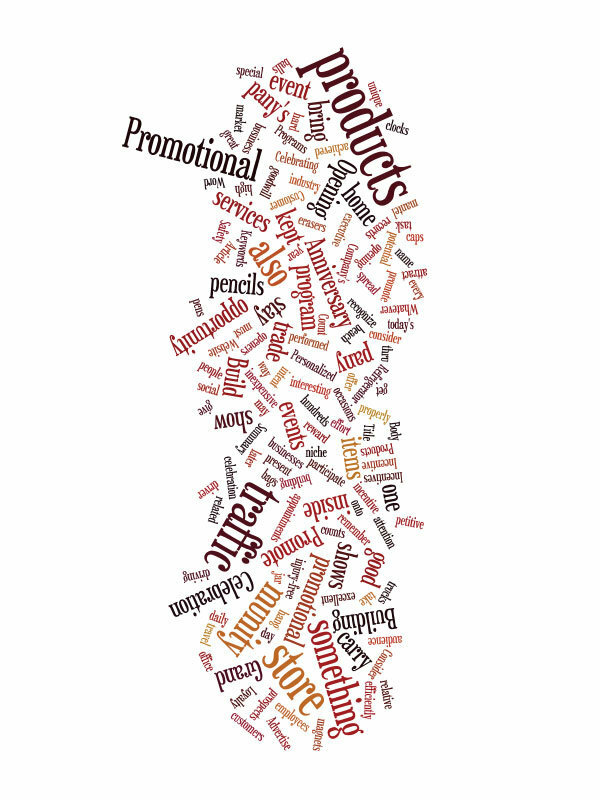 Promotional Products is the only advertising medium capable to engage all five senses. Printed on a tangible product turns an ordinary message into a marketing experience the audience can See, Touch, Hear, Smell, and Taste. 83% of consumers could recall an advertiser of a promotional product while a mere 7% of consumers can recall the name of an advertiser after viewing a commercial on television. 8 out of 10 people like receiving promotion products while 7 out of 10 people find online advertising annoying. Pens are a popular product because they are useful and used, keeping your name front and center. However, pen size and shape is as unique as your customer theme self. What is the right size, shape and function? Should we include a stylist? Does it need to be shinny or flashy to make your target customer feel special? Or should the pen be small and easy to carry? Knowing what makes your customer happy is critical to product selection. Some people are most open to a sales presentation right after a good meal (I sure am!) Maybe a set of classy steak knifes, or napkin clips are better for the content moments of your target customer’s life? Wall clocks for the kitchen, magnet signs for the refrigerator, and pot holders for the stove are also good content category promotional products. Touching the heart string with quality picture frames, business card holders, or inspirational placards can bring a tough of nostalgia and incorporating a lightly embossed business name will keep your business in the right frame of mind. With literally hundreds of thousands of different product options, helping you find the right option for your business is our job and we know you count on us to make your advertising dollar effective. Click or Call today to schedule a free consultation so we can learn more about your business and target customers. Gifts That Keep On Giving 58% of respondents keep a promotional product anywhere from one year to more than four years. Even if the recipient uses the item only once per week, that’s a minimum of 52 impressions made over the course of a year with the possibility of more than 208 during a five-year window.